Although these have been around forever, I have never picked up a packet of Mr Kipling Gingerbread Whirls so when I spotted them in Poundland for only £1 (duh!) I had to finally try them! 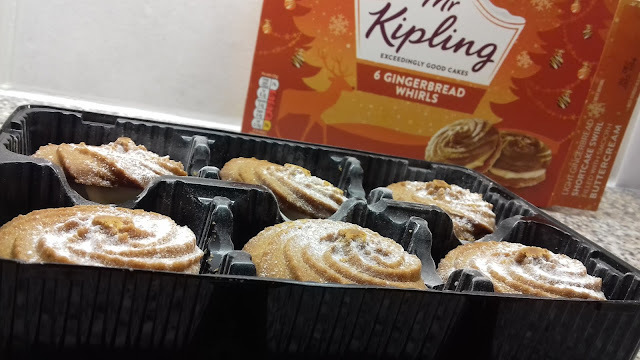 In a box, you get 6, bite-sized Viennese whirls in gingerbread flavour. These treats are 135 calories per whirls and are described as a "light gingerbread shortcake swirl filled with smooth buttercream". 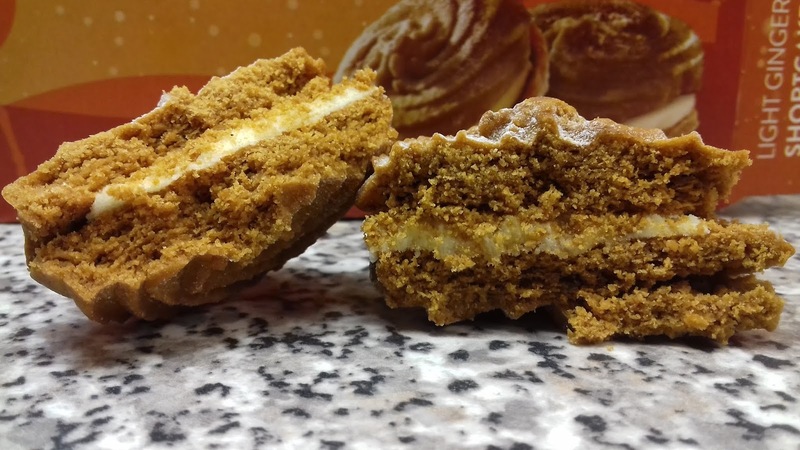 They also are dusted with a sprinkling of powdered sugar to add an extra bit of sweetness and look like snow against the dark orange colour. These are very pretty looking whirls and have a strong ginger scent which is very prominent when you open the box. The texture is very crumbly but not dry. There is a very generous amount of buttercream which lifts the light shortcake and makes it moister. 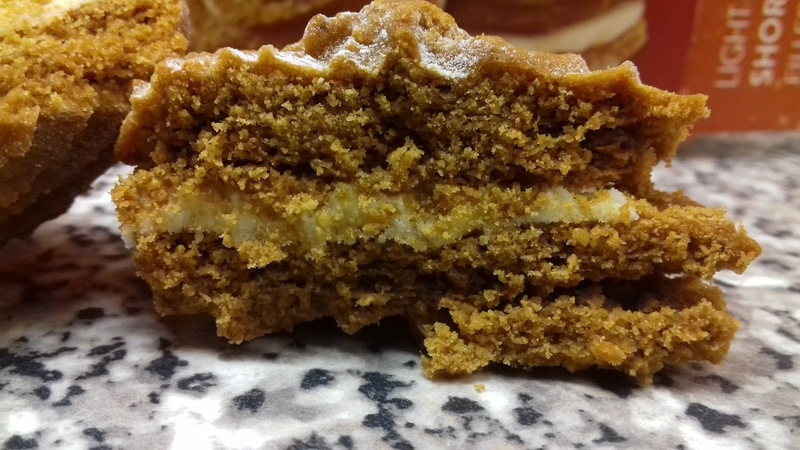 The buttercream is smooth and very sweet and binds the crumbly shortcake together. It's very creamy although it didn't really have a flavour other than "sweet". The gingerbread flavour is very intense. It is a very "warm" flavour and a little spicy, you can very clearly get the ginger taste. This can be a little overwhelming if you eat more than one whirl. Each whirl is rather gingery and sugary. For such a small thing, it has a very expressive flavour. I think that these whirls really represent the warmth and spice that Christmas signifies. It almost makes you feel toasty inside (although that could be the sensational burning from the gingerbread spice!). They make you feel at home. 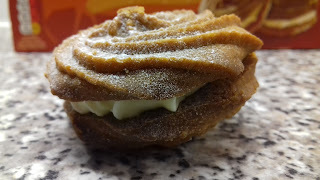 As a Viennese whirl, they are very delicious but a little more crumbly and soft than the original biscuit. The buttercream makes it easier to chew and swallow as it gathers up all the crumbs. It complements the rich ginger spice and tones it down a bit but you still feel that yummy warming sensation. I really like this winter treat and look forward to seeing it around in years to come. 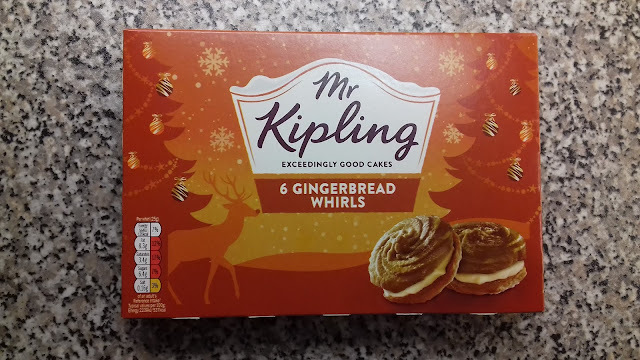 Mr Kipling has really nailed that gingerbread flavour and I will definitely be buying it again. It would go very well with a cup of tea after a Christmas roast dinner. Any gingerbread lover will have a hankering for these tasty treats. Crumbly but delicious, just look at that! Do you like gingerbread flavoured things? Comment below what your favourite spiced delight is and what treats you would like to see Mr Kipling bring out in the new year!